Judges hold a prestigious place in our judicial system, and they earn double the income of the average American household. 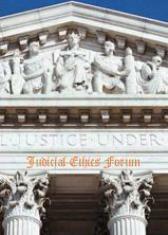 How does the privileged socioeconomic status of judges affect their decisions on the bench? This article examines the ethical implications of what Ninth Circuit Chief Judge Alex Kozinski recently called the “unselfconscious cultural elitism” of judges. This elitism can manifest as implicit socioeconomic bias. The article contends that the ABA Model Code of Judicial Conduct (the “Code”), the document designed to regulate the behavior of judges, fails to effectively eliminate implicit socioeconomic bias. The article recommends innovative revisions designed to strengthen the Code’s prohibition against bias, and suggests improvements to judicial training materials in this context. These changes will serve to increase judicial awareness of the potential for implicit socioeconomic bias in their judicial decisions, and will bring this issue to the forefront of the judicial agenda. Michele Benedetto Neitz, Socioeconomic Bias in the Judiciary, Cleveland St. L. Rev. (forthcoming 2013). Additionally, some recent press about the film and the case can be viewed here.